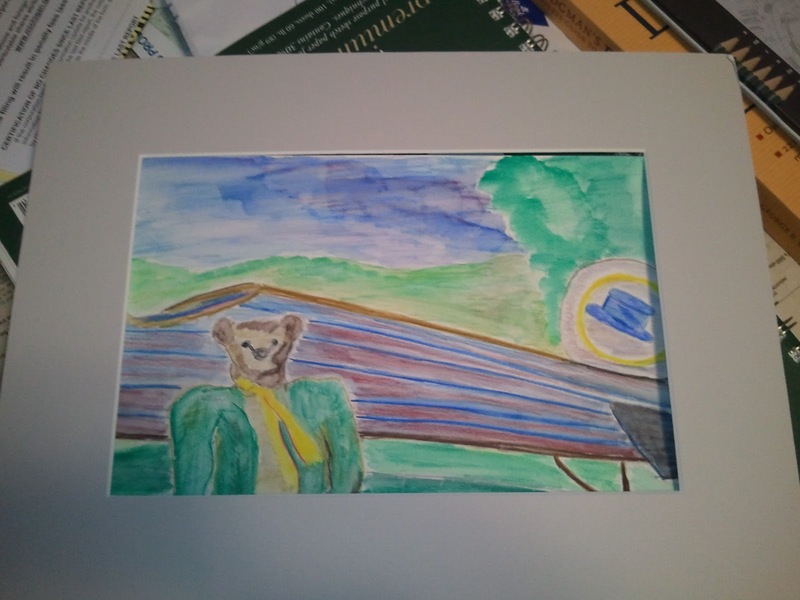 I have a set of watercolors I did a couple of years ago to go with a story I made up for the grandkids : "The Flying Bear." It's just a little dippy story in its original form and the watercolors are my normal inconsistent effort. I'm a frustrated watercolorist as the color business is a stretch for me. I have been using labeled water color pencils for many many years and then blending pigments on the paper. Without the labels, I can't tell the colors apart. Thus, the whole affair has a very "paint by numbers" look and feel. I did like the looks of the young bear in this picture before his solo flight. I've seen that look. I tried last winter to flush the story with a little more text and a little more meat. It was harder than I'd like to admit. I'm going to have to take another stab at that one winter night when the snow is deep. It's one of those incomplete stories we hope we finish before the kids grow up.